When your back relaxes, life becomes more enjoyable! 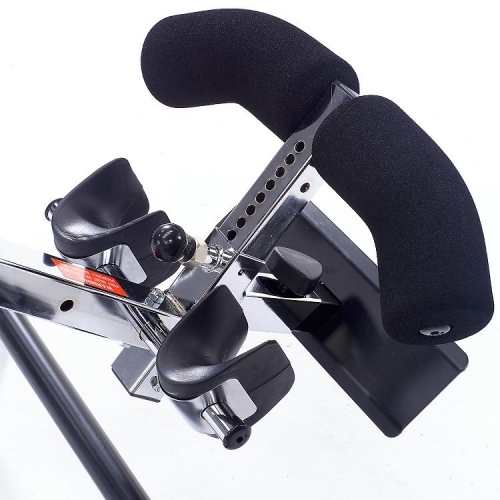 The Health Mark Pro Inversion Table provides the most support and comfort of any table in its class. With a transition bed constructed of 840 nylon denim, you can trust that your back will be fully supported in the correct alignment as you transition from horizontal to any chosen angle. Inversion Therapy has been proven to help decompress the spine, allowing for increased circulation along the spinal column and a reduction of muscle stress, fatigue and lower back pain; or utilize rhythmic traction to achieve total relaxation and increased mental alertness. Inversion Therapy is also useful in the temporary relief of varicose veins and lymphatic fluid accumulation in the lower extremities. 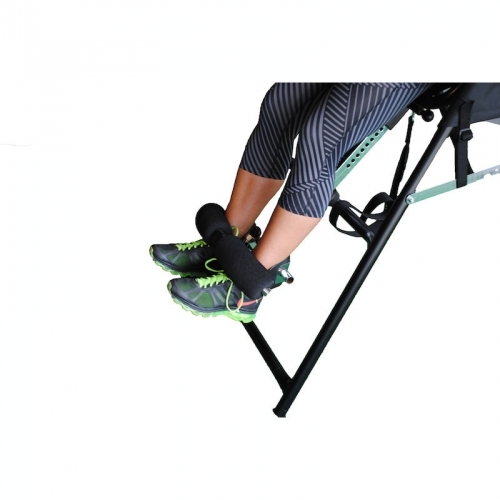 Order your Health Mark Pro Inversion Table from FitnessZone.com today!